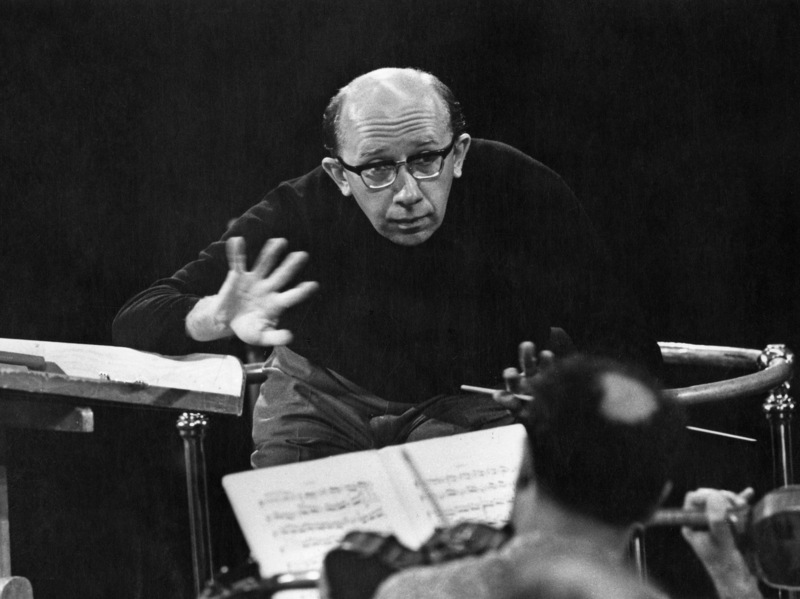 Gennady Rozhdestvensky, An Influential Russian Conductor, Has Died : Deceptive Cadence With work spanning much of the Soviet era, the conductor served as an important and prominent conduit between Russia and the West. He died Saturday at age 87. The conductor Gennady Nikolayevich Rozhdestvensky, an immense presence in Russian musical life during much of the Soviet era and an artist who championed the likes of composers Dmitri Shostakovich, Alfred Schnittke and Sofia Gubaidulina, died Saturday at age 87. His son, violinist Sasha Rozhdestvensky, told the New York Times that his father had battled heart issues, diabetes and cancer, but did not confirm to NPR the location or further details of his death. Rozhdestvensky married the pianist Viktoria Postnikova in 1969; his recordings with her include the Tchaikovsky piano concertos for the Decca label. He is survived by his wife and their son Sasha, with whom he recorded the first violin concertos of Shostakovich and Alexander Glazunov. As a family, the three musicians recorded Schnittke's Concerto Grosso No. 6, which the composer wrote for them.